Placing a fraud alert on your credit report makes it harder for someone to steal your identity and open credit accounts in your name. If you have a fraud alert in place, businesses must confirm with you before issuing any new credit, typically by calling you at a provided phone number. Initial fraud alert (90 days). Extended fraud alert (seven years). Active duty military alert (one year). You have been notified that your personal information was involved in a data breach. Your purse, wallet, or financial documents have been lost or stolen. 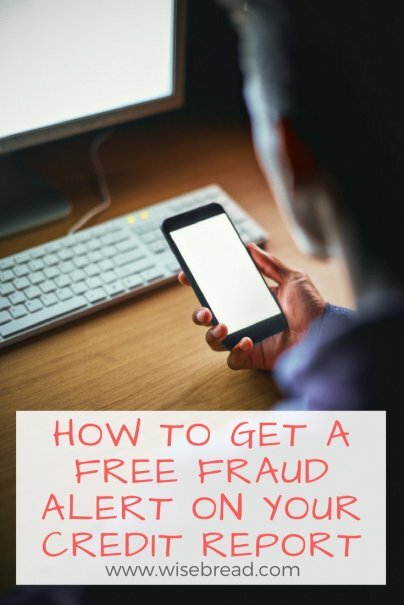 An initial fraud alert is the easiest type of fraud alert to get. You will be asked to provide proof of your identity, such as a copy of your driver’s license, and a copy of a utility bill or bank account statement. Your credit report shows a new account that you didn’t open. You get a statement in the mail for a credit account you don’t recognize. You get a tax refund or tax statement that is not consistent with your tax filings. You will again be asked to provide proof of identity and a copy of a utility bill or bank statement, plus a police report or other identity theft report that provides specific details about how your identity was misused. Having your personal information exposed in a data breach is not sufficient to get an extended fraud alert. You need to show that someone has used your personal information for fraudulent purposes. If you are serving in the military and will be deployed, you can request an active duty military alert on your credit report. This alert makes it harder for identity thieves to open fraudulent accounts during a deployment when identity theft may go unnoticed for a long time. You will be asked to provide proof of your identity when requesting an active duty military alert. Active duty military alerts stay on your credit report for one year, and can be renewed if the period of deployment is longer. An active duty military alert also takes your name off the list for prescreened credit card offers for two years to provide further protection against identity theft.